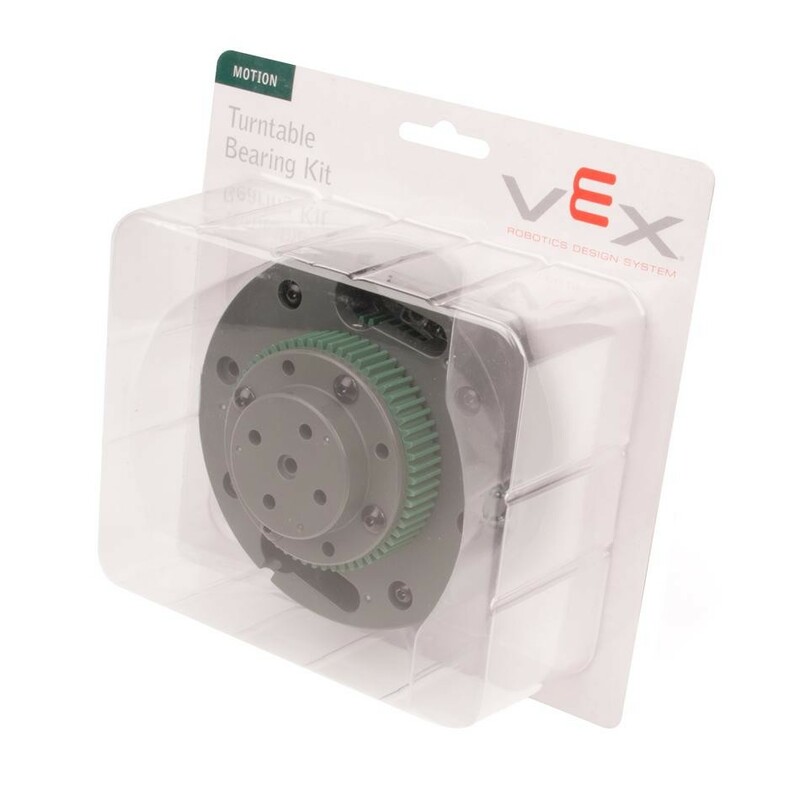 The VEX Turntable Bearing Kit provides two options for low friction, high load rotational joints. 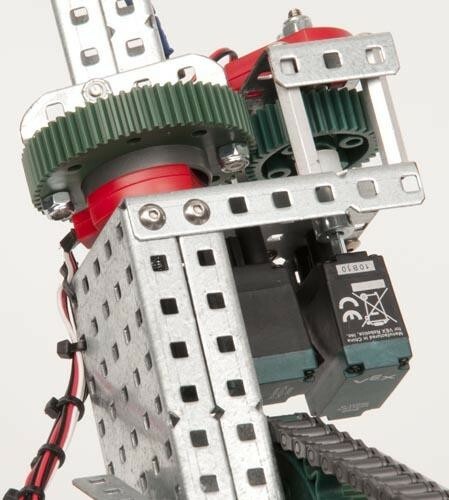 These are especially well suited for rotational joints with lots of side load - this kit makes it easy to build a turret on your robot! 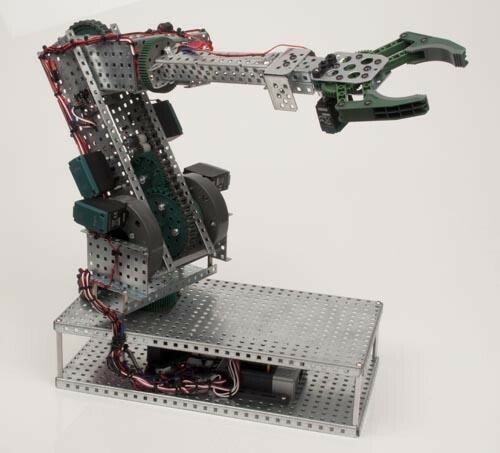 Integrated gearing makes each turntable simple to actuate while other features allow for a variety of design uses. 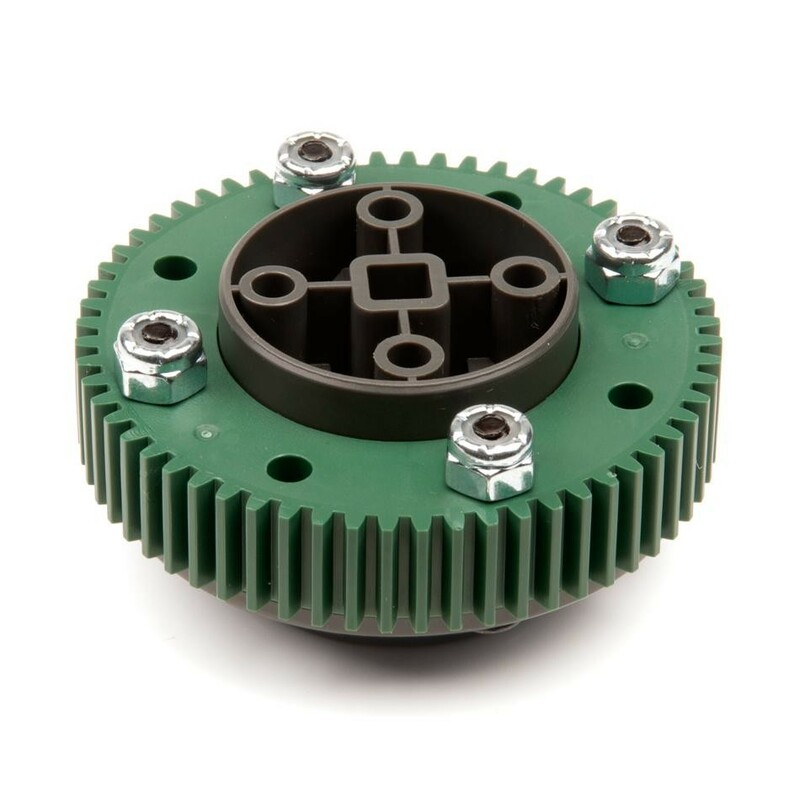 The large turntable has a 66-tooth spur gear (compatible with all VEX gears) built into its inner section. The small turntable has a 60-tooth spur gear built into its outer section. 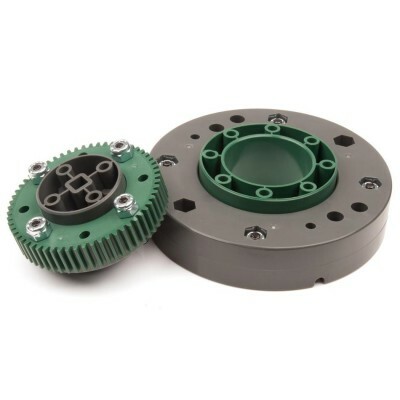 Users can mount these turntables on their robots and use this integrated gearing to drive the turntables, or attach their own gearing using integrated mounting holes. (1) 2.6" diameter Turntable Bearing. 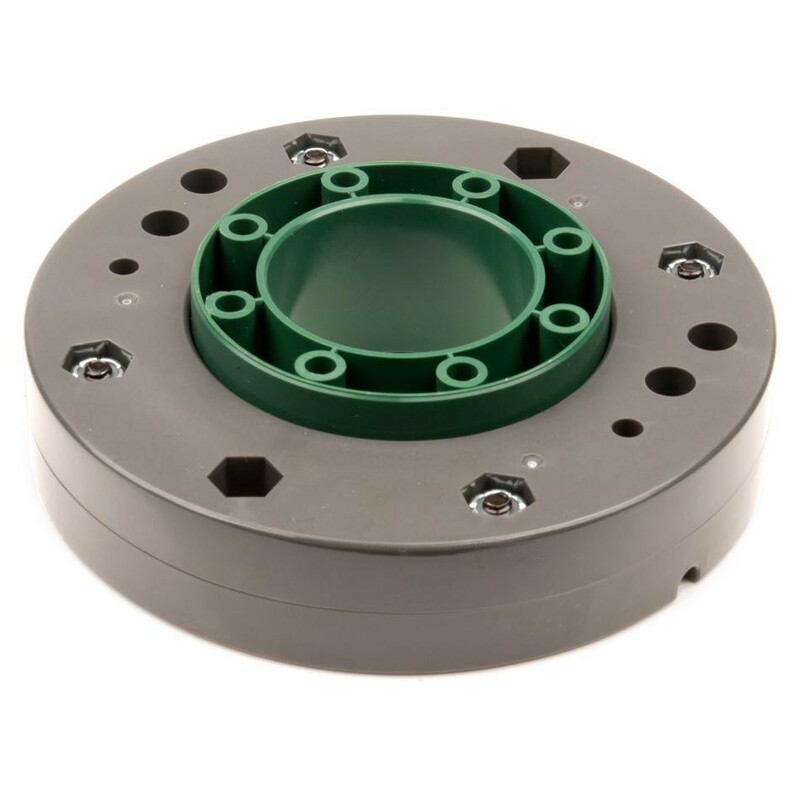 (1) 4.25" diameter Turntable Bearing. 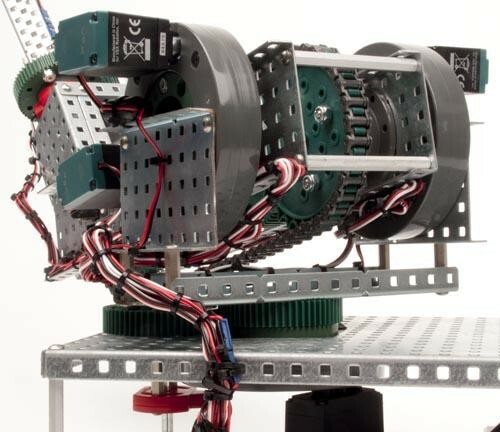 Compatibility: All VEX Motors, All VEX Gears. Small Turntable: 60-tooth spur gear. Large Turntable: 66-tooth spur gear.